Heading to Scandinavia? We’ve got some good news for you: the railways are amazing! 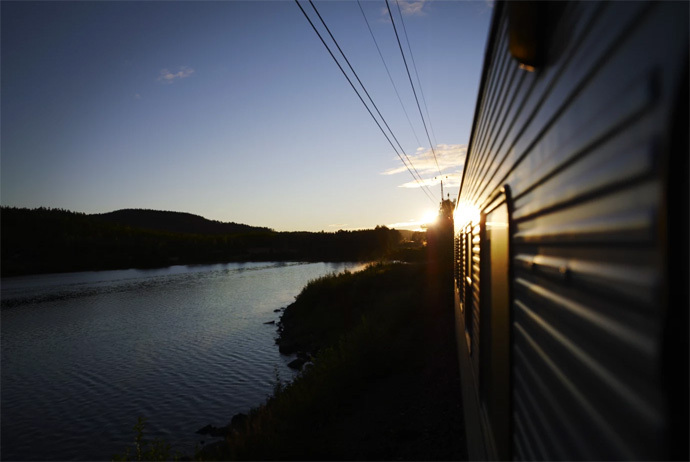 Less stressful and more environmentally friendly than flying, taking the train is one of the nicest ways to explore Norway, Denmark and Sweden. Long-distance trains are (usually) very comfortable, and nothing beats pulling away from the city to see pretty Scandi scenery whizzing past the windows. 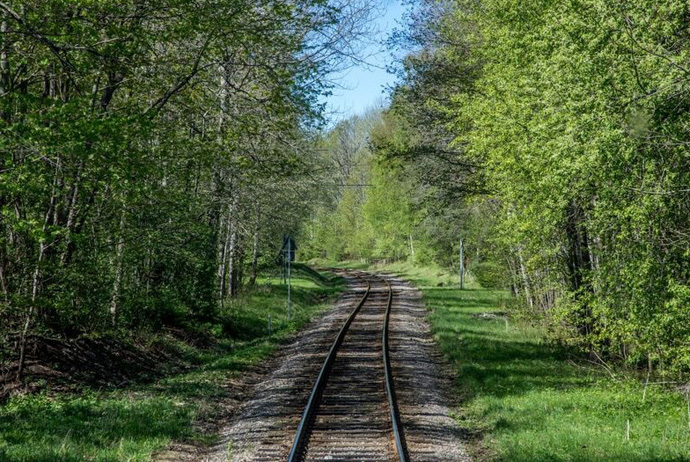 There are some epic railway journeys to be enjoyed in Scandinavia, but as you might have guessed, things can get pretty expensive. This is especially true if you’re taking on long, overnight journeys. Even if you’re sticking to shorter journeys between big cities like Oslo and Copenhagen, you might want to invest in a rail pass. These give you the chance to pay upfront and then enjoy access to the whole region’s rail network for the duration of your stay (or part of it, if you prefer). Having a rail pass also gives you the flexibility to travel pretty much wherever you like within Scandinavia, crossing borders whenever you need to. You won’t have to worry about fares going up either, as you know that most journey costs will be covered by your pass. Rail passes aren’t for everyone, though; we wouldn’t recommend getting one if you’re visiting for a weekend and want to take the train from one city to another. 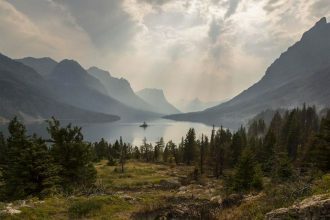 However, if you’re planning to get out into the countryside, want to travel along Norway’s dramatic coastline, or fancy seeing the northern lights in Swedish Lapland, having a rail pass can save you a serious stack of cash. There are few main things to consider before taking the plunge and buying a rail pass. 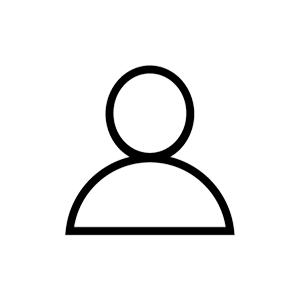 Planning carefully will help you to get the best possible value from your pass! You don’t have to decide everything in advance, but having a rough idea of what you want to see can help you work out whether you will be better off with a rail pass. Rail passes are usually best value when you have a bit of time to spare and can be flexible about which trains you take. Also consider the length of the journeys you want to take – you don’t want to feel that you have to spend every single day on the train, just to get your money’s worth! If you’re aged 27 or under, or if you’re over the age of 60, you’ll get a discount on your rail pass. This can be as much as 20% off the usual prices, giving you the option to buy more days of rail travel for the same amount of money. TIP: If you’re lucky enough to be turning 18 this year and live in the EU, check out this website, which has thousands of free Interrail passes up for grabs. The types of rail passes available to you will change depending on your nationality. There are two main options. Interrail passes are for European citizens and people who already live in Europe (and can prove it). If you’re from outside Europe you will need to use a Eurail pass. Prices for train trips around Scandinavia can vary a lot, depending on whether you’re eligible for an Interrail pass or a Eurail pass. For multi-country trips in Scandinavia, non-European travellers get considerably better prices than Europeans! If you have a European passport or have been a resident of Europe for more than six months, you’re eligible for an Interrail pass. 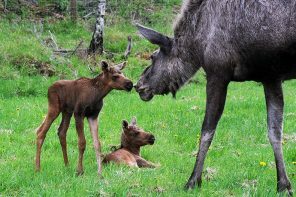 This means that if you’re living in any European country – including Norway, Sweden, Denmark and Finland – you can buy an Interrail Pass for your trip around Scandinavia. Note that unless you have a European passport you’ll need to prove your residence with official residency papers or a residence card. There are a few different types of Interrail pass to choose from. Within these ticket types there are additional options available, based around the number of days of train travel you would like buy and the amount of time you would like the pass to be valid for. For example, you can buy a ticket that gives you five days of train travel across a 15-day period. You can also choose whether you want to travel second class, or upgrade to first class (except in Norway, where first class doesn’t exist!). If you’re planning to visit several Scandinavia countries in one trip, it will be cheaper to buy a Global Pass, rather than separate tickets for each country. Interrail pass Countries covered Unlimited travel available? Full fares apply to anyone aged 28–59, but there are discounts available for kids, youths (12–27 years old), senior citizens, and groups of two or more. Eurail passes are for citizens of countries outside of Europe. If you’re planning to visit just one country – Denmark, Norway or Sweden – you’re best off buying a Eurail Pass for that specific country: Eurail Denmark, Eurail Norway or Eurail Sweden. You can buy a pass that’s valid for three to eight days within a single month of travel. 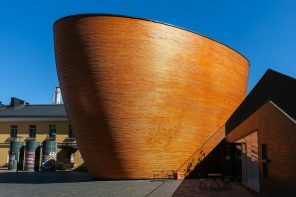 If you’re combining two or three Scandinavian countries in one trip, or if you want to tack on Finland, you should go with the comprehensive Eurail Scandinavia Pass. With this you can get three to eight days of travel across the region within one month. There is also the Eurail Four Country Select Pass, which covers the same countries but over a period of two months. The Scandinavia Pass is cheaper, but it’s only valid for one month, rather than two. If your Scandinavian jaunt is just one stop on a whirlwind tour of Europe, you’ll want to go for the head honcho: the Eurail Global Pass, which offers five or seven days of travel in one month across 28 European countries. More expensive variants of the same ticket offer you 10 or 15 days of travel across two months or up to three months’ continuous, unlimited travel. As with Interrail passes (see above), there are special discounted rates for kids, youths and senior citizens. If you’re travelling in a group of two to five people, you can save 15% on each adult fare. • You’ll need to carry your passport for identification. Ticket inspectors may ask to see your ID along with your ticket. 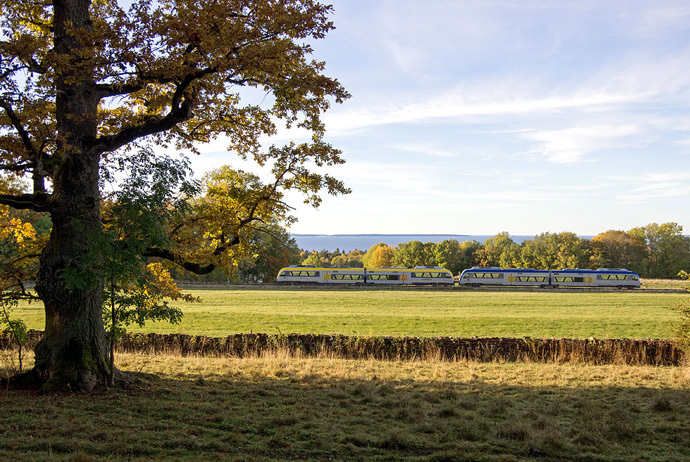 • Interrail and Eurail passes grant you passage on most trains, but you may have to purchase supplements for compulsory seat reservations on high-speed and international lines like Sweden’s X2000 service. You may even have to buy tickets outright on the rural or local trains (there’s more information on seat reservations below). 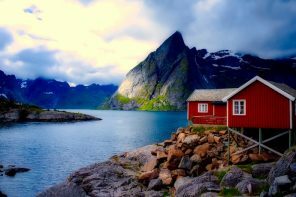 • If you buy a first-class multi-country pass, you will not receive any additional benefit in Norway (there are no first-class carriages on Norwegian trains). • Interrail and Eurail passes give you other benefits, including discounted ferry journeys in Norway, Denmark and Sweden. Country-specific discounts include money off the scenic Flåm Railway route in Norway, which isn’t included in the rail pass itself. 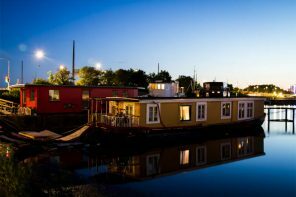 You also get discounted rates at City Backpackers in Stockholm, and big savings at the Railway Museum in Odense, Denmark. In Sweden and Denmark, there are usually two options: first and second class (but in Norway, train classes do not exist). Some of the newer trains offer a third ‘executive’ class, but these are still not very common. Ultimately, there isn’t much difference between the classes – most trains carriages in Scandinavia are clean and comfortable with ample room in the seat, plus space in the corridors for your luggage (many trains offer free wifi, too). The egalitarian Scandinavians usually don’t spring for first-class ticket unless they are travelling on business. There really isn’t much difference and our advice would be to stick with second-class fares, unless you really need a quieter carriage or want to have meals onboard without the hassle of going to pay for them in the buffet car. If you’re travelling on an Interrail or Eurail pass on high-speed trains, overnight trains, or certain other trains run by private operators in Scandinavia, you will usually need to purchase a seat reservation. These seat reservations are compulsory, cost extra (normally around €10) and should not be ignored – locals don’t react well when they find that some tourist has taken the seat they reserved in advance. Reserving a seat is doubly important during peak travel times and on long-distance trains, for instance from Stockholm to Gothenburg. You can buy these seat reservations on the ACP Rail website or at a self-service kiosk at the station. 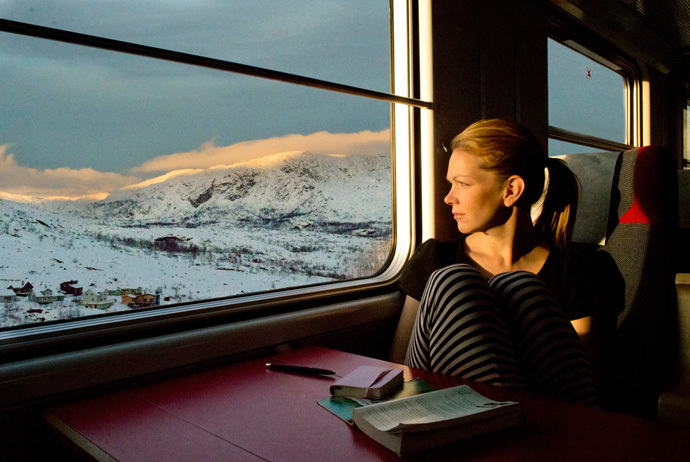 Since Scandinavia covers such a large area, it’s no surprise that there are a number of overnight trains in Norway and Sweden that offer couchettes or sleepers. Popular overnight routes include Oslo–Bergen, Stockholm–Kiruna and Oslo–Trondheim. Your pass will usually cover your passage on these trains, but you’ll have to pay extra for one of these sleeping options (as much as €100 for a one-way journey in Norway!). Be sure to purchase these upgrades well in advance. In Sweden, the cheapest sleeping option is a couchette (basic bunk bed). There are four couchettes per compartment in first class, or six couchettes per compartment in second class. Stepping up a notch, proper sleeper carriages offer nicer beds for one or two passengers (first class), or two to three passengers in second class. 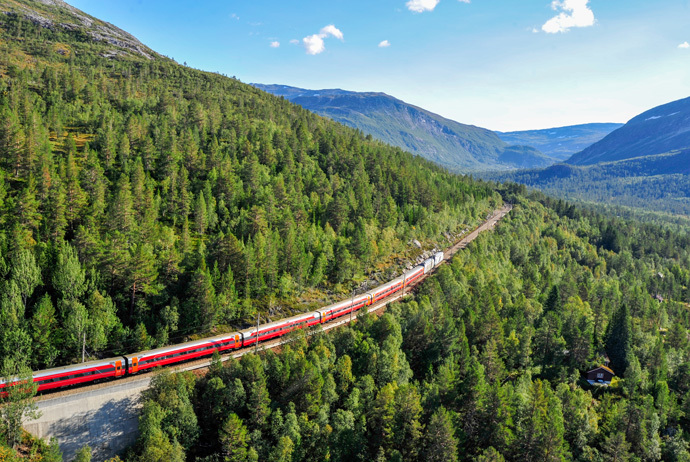 Norwegian trains offer a simple choice for overnight journeys: second-class seats (reservation required) or fancypants sleeper compartments with just two beds (extra fee required). Note that you have to book the whole sleeping compartment (there’s no sharing with strangers and the price for the cabin always remains the same. You can make a cabin reservation here. If you have just one or two days, you might want to focus on the highlights of Denmark. The Danish cities of Copenhagen, Aarhus, and Odense are all relatively close together and easily accessible with a series of short train rides. Explore the canals and historic amusement parks in Copenhagen, then hop over to Odense, birthplace of Denmark’s most famous storyteller, Hans Christian Andersen. Another option for a quick visit is to explore Sweden’s big two: the rugged harbour-front city of Gothenburg in the west and the ever-stylish Stockholm in the east. There are loads of fun things to do in both Stockholm and Gothenburg, many of them free. 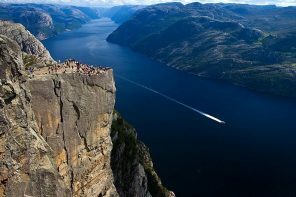 Norway’s most popular trip, the Norway in a Nutshell tour, is a train and boat adventure across the fjords and mountains of Norway. Although it’s packaged for tourists, all of the journeys actually made using public transport. The tour can be done in a very busy single day, or over the course of several more leisurely days. Trains depart from Oslo and continue on to Bergen, beautiful Geirangerfjord and the show-stealing Trolltunga (Troll Tongue) rock formation. Your rail pass won’t give you free access to everything on the tour, but it will cover the train journeys. This means you can simply pay for the ferries and buses yourself. With more time you can really start exploring. 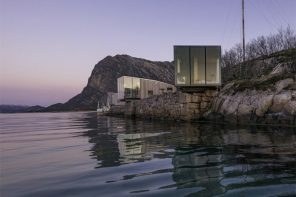 Photographers and nature lovers will especially enjoy the fjords and tunnels of Norway’s west coast. 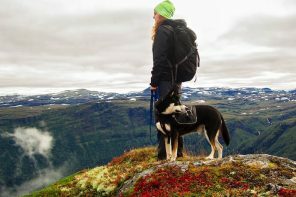 Popular routes include the Rauma Line, which takes you on a round trip from Dombås to Åndalsnes, passing the tallest rockface in Europe, Trollveggen. It can be done in a day, but you will need additional time to get from Oslo to Åndalsnes. 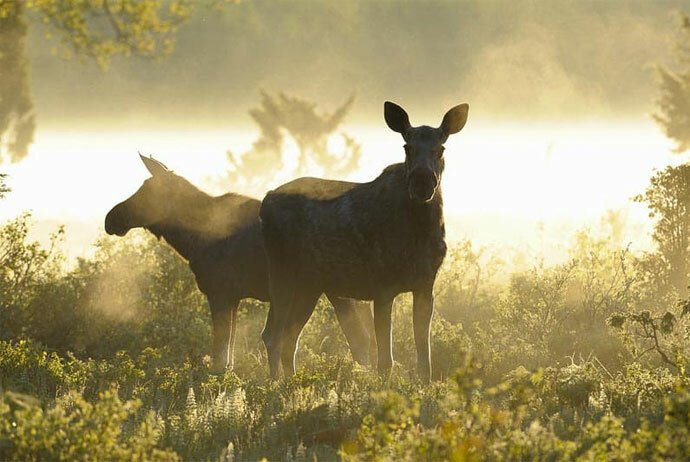 Another great option is to use a rail pass to see Sweden’s forested interior. 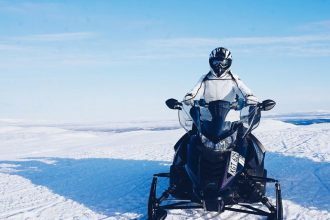 The 1,288km-long Inlandsbanan is an unforgettable cross-country journey from Kristinehamn in the south to Gällivare in the wilds of Swedish Lapland. 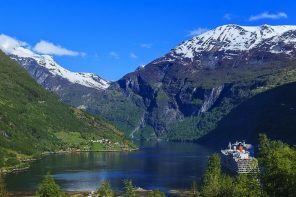 The Hardangerfjord in a Nutshell tour is a popular journey on Norway’s Bergen Railway line, which lets you see the highlights of the Hardangerfjord, the Steinsdalsfossen waterfalls and Bryggen. With a rail pass you can board any of these trains and hop out wherever you like, to enjoy sightseeing tours from Eidfjord, for instance. You don’t need to pay for a package tour if you don’t want to; simply use your rail pass to follow the same route and spread the journey out over a longer period of time. 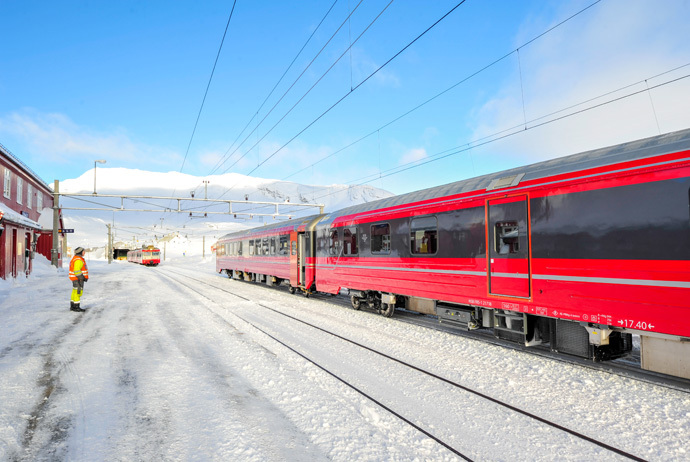 Seat reservations are recommended for regional trains on the Bergen Railway Line, especially between Oslo–Myrdal and Oslo–Bergen. 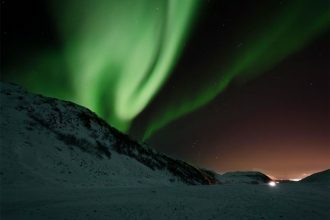 The epic Stockholm-Kiruna-Narvik rail journey is a spectacular way to see both northern Sweden and Norway within the Arctic Circle, and, in the winter, glimpse the northern lights. You’ll also have a chance to hike in the beautiful Abisko National Park, visit the Esrange Space Centre, stay in the Icehotel at Jukkasjärvi or try out your skiing skills at Björkliden and Riksgränsen. Heading out on an epic adventure? Get insurance! There is no point in having a shiny new rail pass and no insurance for your trip. 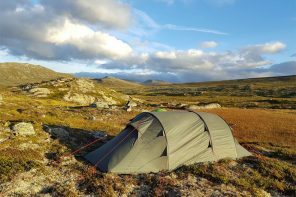 Yes, Scandinavia is a safe place to visit, but for loads of important reasons, we recommend getting a policy with World Nomads.